Overlooking picturesque Hamilton Harbour in Bermuda, the Newstead Belmont Hills Golf Resort & Spa is the sparkling jewel of luxury resorts in Bermuda. This unique all-suite property sets itself apart by blending magnificent resort amenities with the personalized service of an intimate boutique hotel. 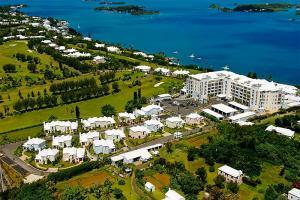 Located just 35 minutes from the Bermuda International Airport.